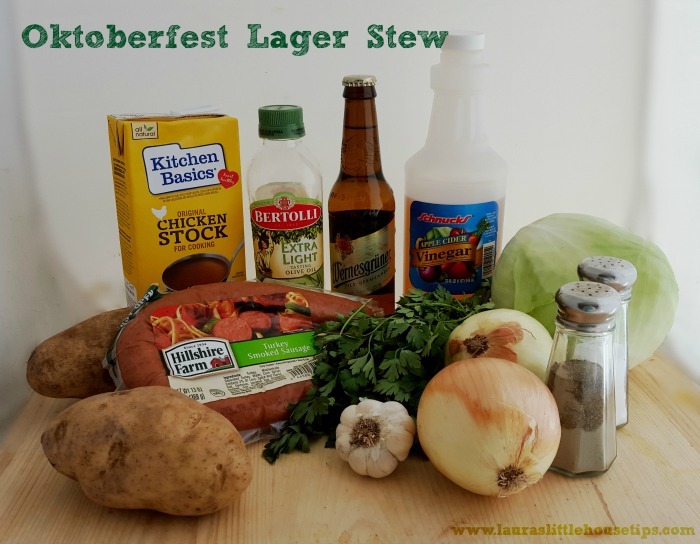 This recipe for Oktoberfest Lager Stew is a great way to kick off the fall season. Cooler weather will soon be upon us and that means it’s time to break out the delicious recipes for hearty stews and soups! 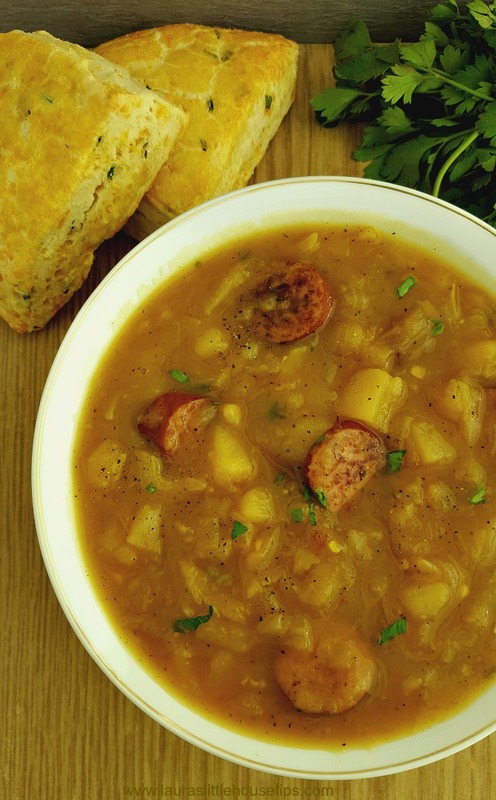 What better way to celebrate Oktoberfest than with a stew in its honor. Our Oktoberfest Lager Stew is perfect served with a salad. I love stews that warm you up from the inside out and make your whole house smell like heaven. This one is sure to do that and more. Add oil to a large pot on medium-high heat. 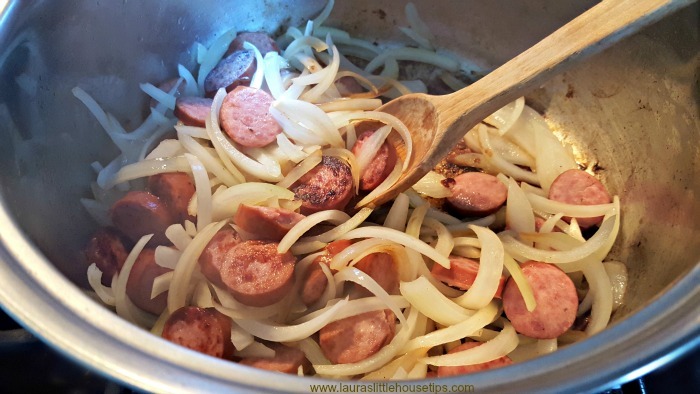 Once the oil is hot, add sliced smoked sausage and allow the slices to caramelize for 4-5 minutes. 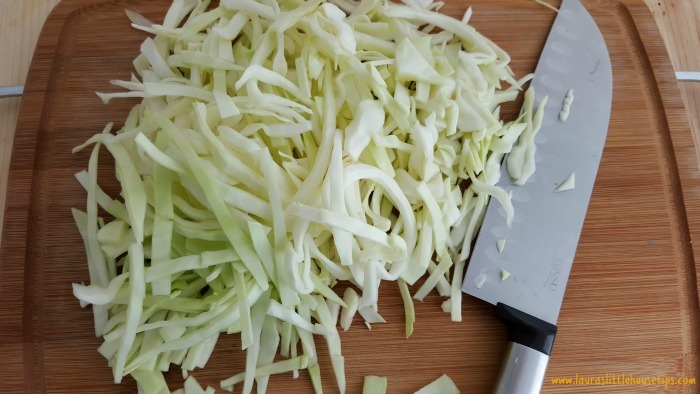 Once sausage is browned, add in sliced onions and cabbage, stir and continue cooking until softened. Season with black pepper, pinch of salt and garlic. Stir to combine. Pour in the cup of lager, stir and allow the beer to slightly reduce for approximately 3 minutes. Add in the cubed potatoes and hot chicken stock, stir and allow the mixture to come to a boil. Once stew begins to boil, place a lid on (slightly askew to allow just a little steam to escape), and reduce the heat to low to simmer for 40 minutes. After 40 minutes, turn off the heat and finish the stew by stirring in the apple cider vinegar and chopped parsley. Add additional salt if needed. This meaty stew is sure to be satisfying and delicious. Packed with flavors from all the fresh veggies and German beer, this recipe is anything but ordinary. 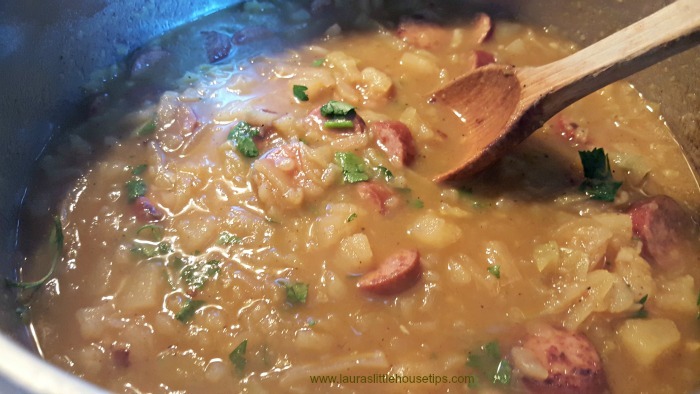 Another great thing about this stew is that it is made with just one pot! That means less dishes during clean up and it is very simple to create. You could double the batch for dinner with guests or make a large batch for a party, everyone will surely love it! With a few small tweaks this recipe could easily be converted for use in a crock pot, making it even easier to throw together. This would also be Delicious with our Sour Dough Bread. 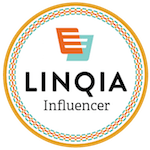 You can find the recipe here —Here! Jamie recently posted…Make a Plan to Visit Crested Butte in Colorado! !